Standardized components transformed the PC market. MESA works to do the same for grid-connected energy storage. Grid-connected energy storage promises large potential benefits. And yet, before safe, affordable energy storage can deliver on its promise, electric utility customers and their suppliers must solve significant problems. Many of these problems boil down to lack of standardization. Standards are required for any technology to be deployed at scale. The personal computer industry grew from few to millions of units per year, while dramatically improving price-performance, based on standards for its software and hardware components. Like other industries, the energy storage industry needs to organize for scale, based on a cohesive industry vision and technology standards. MESA Standards clear barriers to growth in energy storage. By making standard connections between components possible, MESA frees utilities and vendors to focus on delivering more cost-effective electricity to more people. Each proprietary plug requires its own custom socket. Current utility-grade energy storage systems (ESS) are project-specific, one-off solutions, built using proprietary components that are not modular or interoperable. Connecting these proprietary systems with key utility control software such as SCADA platforms is cumbersome and time-consuming. 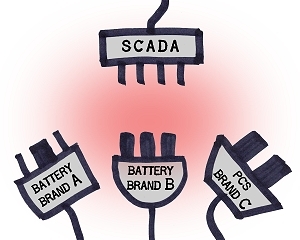 Before an ESS can function, the batteries, power converters, and software that make up the ESS must be intelligently “plugged into” each other and the electrical system. Then the ESS as a whole must be intelligently plugged into the utility’s existing information and operations technology. Without established standards, components and systems offer their own proprietary connectors, and the process of plugging them together must be repeated for each new project. “Kludged” connections take time, cost money, and degrade safety. High project costs, and decreased reliability and safety. Component vendors tempted to stretch their expertise and offer a complete ESS solution, losing focus on their own core competency. Instead of developing innovative, best-of-breed components—such as a better, cheaper battery—these vendors simply re-invent yet another proprietary wheel. One-off, proprietary solutions that are inflexible, not easily scaled, and have limited operational control. The utility customer becomes dependent on a single ESS supplier, with few options to upgrade, expand or re-purpose their energy storage investment. Despite willing buyers (electric utilities) and willing sellers (battery, power converter, and software suppliers), market growth is limited. Significant opportunities – for example, the potential for broad deployment of standardized ESS configurations at many utility substations – are beyond the industry’s reach in its current form. To fully enable broad deployment of grid-connected storage, and grow the market for all, standards are required to address these limitations. Modular Energy Storage Architecture (MESA) is an open, non-proprietary set of specifications and standards developed by an industry consortium of electric utilities and technology suppliers. Through standardization, MESA accelerates interoperability, scalability, safety, quality, availability, and affordability in energy storage components and systems. 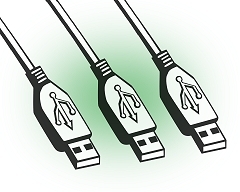 MESA offers plug-and-play connectivity to both vendors and utilities. Standardize communications and connections, which will accelerate interoperability and scalability. Give electric utilities more choice by enabling multi-vendor, component-based ESS. 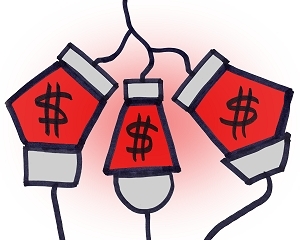 Reduce project-specific engineering costs, enabling a more robust energy storage market. Enable technology suppliers to focus on their core competency, facilitating quality, safety, and cost-effectiveness. Reduce training costs and improve safety for field staff through standardized procedures for safety and efficiency. 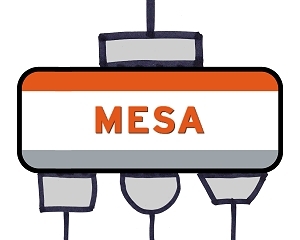 Find out more about how MESA Standards work. Stay in touch with MESA by joining our mailing list to receive occasional updates, press releases, and events. Thank you for joining the MESA Standards Alliance's email list.